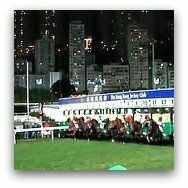 July 1, 2014 marks the 17th Anniversary of the establishment of the Hong Kong SAR, a public holiday. 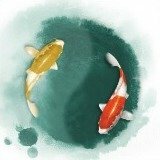 Dragon Boat Races have come and gone, but another colorful festival will take place on July 20th, the Birthday of Kwan Tai. 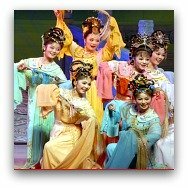 In the Cultural front, the Chinese Opera Festival is underway. This is a public holiday and the scope and extent of the celebrations have varied over the years including parades, flag-raising ceremonies, cultural performances, and as in the case to commemorate the 15th Anniversary, a spectacular fireworks extravaganza. This year, rather than one big event, the celebrations will be taking place throughout the territory's 18 districts. 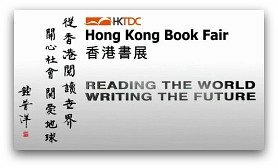 Events to celebrate the Establishment of the HK SAR will be spreadout throughout the summer with many highlight events taking place on July 1st. 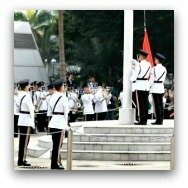 The theme for the 17th Anniversary of Establishment of the HK SAR is "Vitality. Love" and events are being organised by many community organisations. 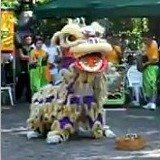 There will be dozens of events, ranging from sketching and painting activities, football matches, skating competitions, cultural nights, dragon and lion parades, marching bands, bike races, carnivals and fairs. Here's more on this year's festivities. 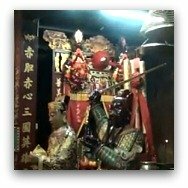 Kwan Tai was the God of War and highly regarded among the police and military circles. 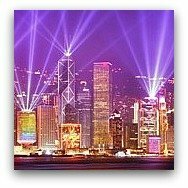 His Birthday is celebrated on the 24th day of the 6th Lunar month, which this year falls on July 20, 2014 in the Western calendar. What? 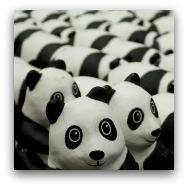 :Panda Flash Mobs swarming the territory and a main exhibition, it's 1,600 paper mache panda bears on a worldwide tour. Friday June 20, 2014 the Pandas will be Tram Touring from 12:00 noon to 3:00 pm, so if you are around Central you will definitely see them. Here's the Ding Ding Tram route map. Tickets can be purchased online at the Urbtix site. When? : July 16-22, 2014, 10:00 a.m. - 10:00 p.m., extended hours on weekends, last day 9:00 a.m. - 5:00 p.m. If you have teenagers you will not want to miss this one! 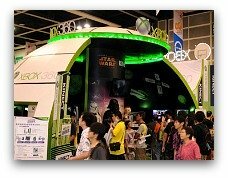 Ani-Com and Games is Hong Kong's hottest event in the digital entertainment, comics, animation, video games and toys and collectibles arena.